Eight National Cruiser Racer Championship Titles & Corinthian Cups will be decided next June at Howth Yacht Club (HYC). 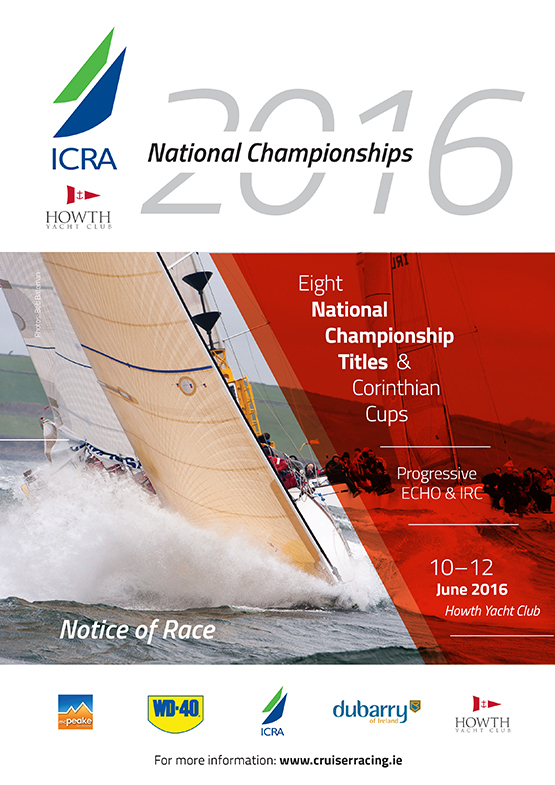 Racing under Progressive ECHO & IRC handicap, the 2016 ICRA National Championships runs from June 10-12. The full Notice of Race is downloadable below.